I hope that everyone has enjoyed a happy and safe holiday season thus far. With the new year upon us, however, it is time to face the inevitable: the New Years Resolution. In 2008, why not make a few real estate resolutions? Here are some ideas to get you started:ISellVermontRealEstate.com or call me at 802-353-1983. To begin searching for Ludlow VT homes, please use my complimentary MLS search! Know your credit! Make a resolution to stay on top of your credit in 2008. Begin by getting a detailed credit report so that you know where you stand as the year begins. Check again at the end of the year to see how much your credit has improved! Keep a budget. This can be a difficult one to stick to. Many people start the year with an idealistic budget, but soon let it go out the window – oftentimes, along with any hopes of saving for real estate investment! Begin with a goal of either setting aside a certain amount for a down payment on a real estate investment or putting away enough to make one extra mortgage payment in 2008. Research real estate web sites. Be a snoop in 2008! Use web sites like mine to keep tabs on what homes in your neighborhood are selling for, where the foreclosures near you are, and what the general market is like in your area. When you are ready to make a real estate investment, you will already have a good feel for the local market. Out with the old! Even if you are not planning to move in 2008, it never hurts to clean out your closets, garage, or attic and donate to charity. You’ll make your home more appealing to prospective buyers if you are selling, and you’ll feel more organized if you are staying put. Best wishes for a very happy new year – see you in 2008! Attention, home sellers! Even in an uncertain real estate market, there may be good news for you – depending on where you live. The National Association of REALTORS® has published the results of its quarterly sales survey and found that the median home price continues to rise in most metropolitan areas. The median is a typical market price – meaning half of all homes sold for more, and half of all homes sold for less. Lawrence Yun, NAR chief economist, said the data underscores the fact that all real estate is local. “Some metro areas are hot, while others are experiencing localized problems,” he said. Moving into 2008, we will keep a close eye on the Okemo Mountain area market trends to see how prices affect sales volume. Since the market changes month to month and neighborhood to area, please contact me at 802-353-1983 or visit ISellVermontRealEstate.com to get the latest information on Ludlow VT real estate. To receive a complimentary home value analysis, please click here. Put simply, it is the sale of one property in exchange for the purchase another property of similar value without the required payment of capital gains tax, all performed within a specific time frame. An example of when you might use a 1031 Exchange, as opposed to selling a home and purchasing a new one outright: you want to sell your current vacation home and purchase a new, similar one that has a few better features. You have not yet owned your current vacation home for two years, so you are subject to substantial capital gains taxes when you sell it. If you were to use a 1031 Exchange, you could “exchange” your current home for a new one and be relieved of the capital gains requirement. It is this difference between “exchanging” and not simply buying and selling which, in the end, allows you, the taxpayer, to qualify for a deferred gain treatment. In a nutshell: sales are taxable with the IRS and 1031 exchanges are not. 1. The total purchase price of the replacement “like kind” property must be equal to, or greater than the total net sales price of the relinquished, real estate, property. 2. All the equity received from the sale, of the relinquished real estate property, must be used to acquire the replacement, “like kind” property.ISellVermontRealEstate.com. To request more information about 1031 exchange, please click here and select the reports you would like! Identification period – the seller has exactly 45 days from the sale of the original property to identify other replacement property(s) that he proposes or wishes to buy. Exchange period – the period during which the seller of the relinquished property must receive the replacement property. This period ends exactly 180 days after the date on which the person transfers the property relinquished or the due date for the person’s tax return for that taxable year in which the transfer of the relinquished property has occurred, whichever situation is earlier. “Going green” has been one of the biggest trends of 2007, with more and more homeowners seeking to make environmentally-friendly choices on everything from cleaning products to flooring. So shy shouldn’t our concern for the environment carry over to our holiday decorations this year? If your home is in need of some holiday cheer, here are some “green” ideas to brighten things up:ISellVermontRealEstate.com or call me at 802-353-1983. To receive a complimentary home value analysis, please click here. 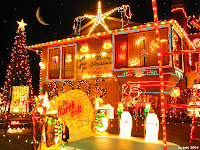 · Use LED lights – using LED lights to decorate the inside and outside of your home will bring you many benefits. The lights last a whopping 50,000 hours – that means you could actually pass these lights down to your grandchildren some day! Adding to their cost effectiveness is the fact that you will be using 90% less energy with LED bulbs – resulting in an electricity bill that the Griswald family would envy! LED lights are also safer – they don’t produce as much heat and considerably reduce the risk of fire, always a concern during the holiday season. · Use solar-powered decorations – the “new kid on the block” when it comes to holiday décor, these lights not only save you money on energy – they don’t use any energy at all! Place the solar panels where they can collect light during the day, and the lights will automatically light up when it gets dark and shine for about 8 hours. · Use mother nature’s decorations – forget going out to shop for decorations. Some of the best décor can be found right in your own backyard! Use a real Christmas tree rather than a manufactured, non-biodegradable one. Even better, buy a young tree with roots and re-plant it after the holiday season! A basket of pinecones make a beautiful and rustic centerpiece, and fresh pine straw can be made into a lovely and fragrant wreath to display.